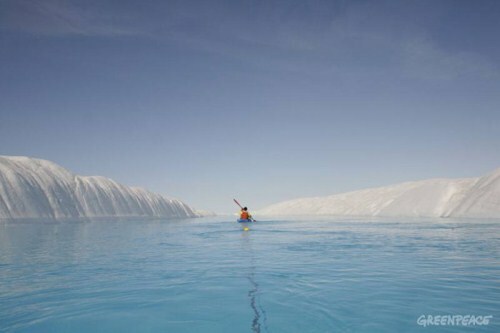 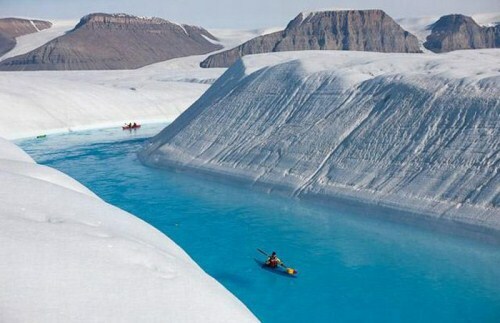 Petermann - the largest floating glacier in the Northern Hemisphere, located in north-western Greenland. 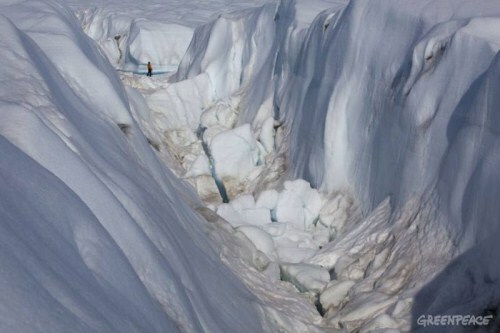 Petermann - glacier, forming icebergs. Glacier joins the Greenland ice sheet with the Arctic Ocean. 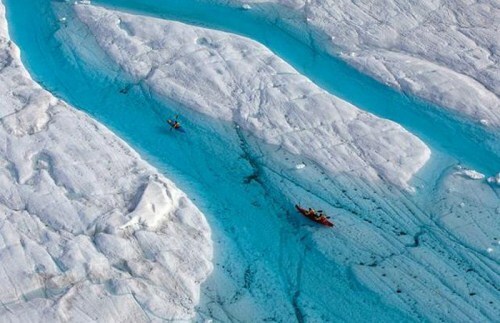 Floating ice tongue has a width of 15 km and 70 km long, whose thickness varies from about 600 m at the base and about 30-80 meters on the edge. 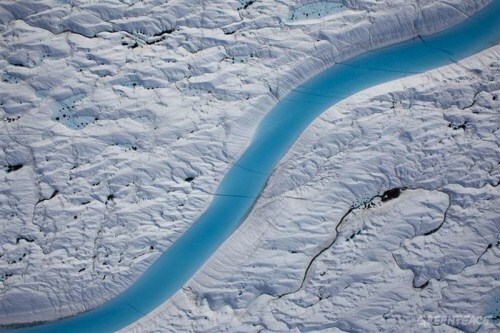 Supposedly, according to rough estimates, approximately 80% of the mass of the glacier are melted water. 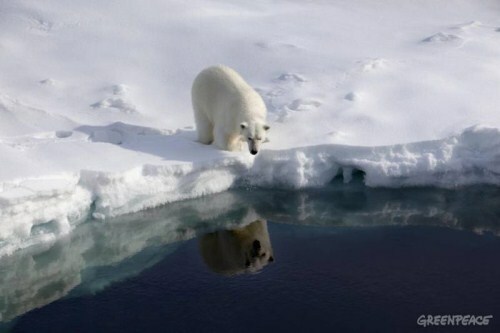 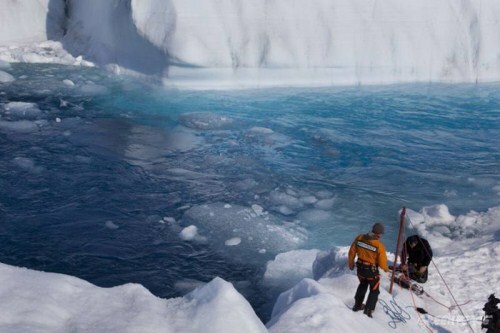 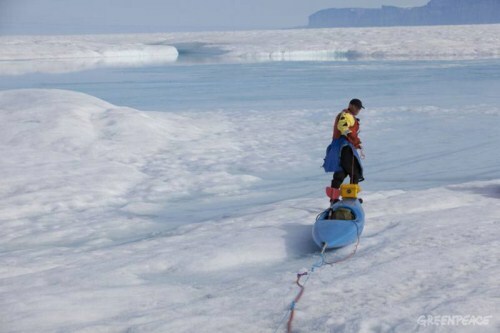 Expedition Greenpeace found that as soon as glaciers have lost up to 100 square meters. 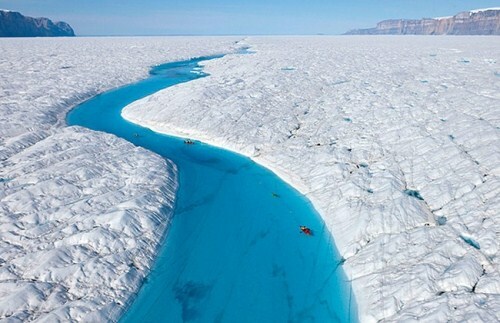 kilometers of ice. 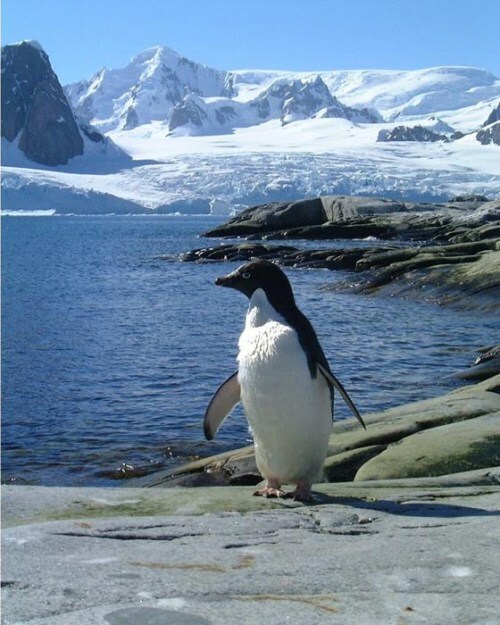 This amount is sufficient, to 10 years to supply water, a city like Sydney, which has a population estimated in 2006 was approximately 4.28 million.